The historic town of Paarl will again come to a virtual standstill on in November as residents and riders turn out for the annual Sanlam MTB Invitational, this year presented for the first time as a 2-Day stage race. The big news this year is that, for the first time, the incredible Sanlam Invitational experience has been opened up to 300 public teams on a first come first served basis. Presented by the City of Drakenstein and ASG, the event has become a sought after property over the past two years. It’s one of the most iconic, must-do races on the national racing calendar. It’s not just another mountain bike race. It is really something special and a unique opportunity to traverse the beautiful Paarl Mountain on a saddle. The first stage consists of a tough 60km journey circumventing the entire Paarl Mountain while the second stage is a more manageable 40km – covering a shorter loop on the mountain. The Sanlam MTB Invitational is staged in one of the most beautiful and unique areas in South Africa, covering the best possible MTB terrain, coupled with warm hospitality. Paarl is located 50km from the Cape Town CBD, which places it within a comfortable travelling distance with easy airport links. 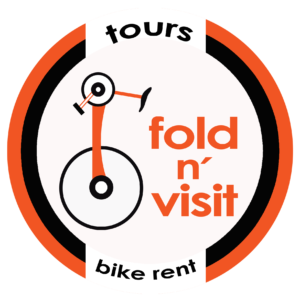 The travel and accommodation hassle factors are therefore minimised. The two-day multi stage Sanlam MTB Invitational will afford amateur and professional mountain bikers with a passion for the sport the experience of a lifetime. During the Sanlam Invitational riders will be treated as VIP’s and they will have access to world-class hospitality at waterpoints and at the Rhebokskloof race village. Our route-building team have unearthed every bit of wonderful and rideable mountain-biking terrain on and around the Paarl Mountain and the end result is the very best way to experience the mountain and the views over the surrounding Simonsberg and Drakenstein ranges. These imposing ranges are just an unbelievable sight early morning and you can even see Table Mountain from the top of Paarl Mountain. Participants will also come within 200m of the distinctive Taal Monument, another standout feature on the landscape. Both stages will finish on the legendary 9km stretch of downhill single-track to the finish on a lush grass embankment at Rhebokskloof Wine Estate and rewarded with an ice-cold Coke or a craft beer from CBC – the fastest growing independent brewery in the country. CBC also erect a waterpoint on the first stage which is a very popular stop – it’s almost like riding into a beer tent with free draft beers, music and a wonderful MC. If you’re not hooked on mountain biking before this, it will be a completely different picture afterwards. 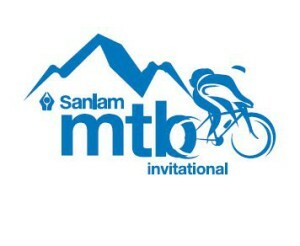 The Sanlam MTB Invitational route encompasses all best features on the Paarl Mountain. Riders can expect wide open plains, strong climbing challenges, majestic mountain views, deep ravines, indigenous forests and spectacular views. The route is characterised by riveting jeep tracks, challenging rocky outcrops, fast flowing downhills, meandering river crossings and stunning single-track. The public entry package is R2500 per rider (R5000 per team), which includes a Columbia event jacket, two High 5 Race Packs and as well as daily lunches, but excludes accommodation. Sufficient affordable accommodation is available in the Winelands, but we offer a tented package at an added cost of R800 per team which will include dinner on the Saturday evening at Rhebokskloof. As a nice early bird entry incentive we are also putting up a full set of Ftech kit (bib short and jersey) for the first 50 teams who enter. The Sanlam Invitational is limited to 300 teams to ensure the best possible rider experience on the route as well as race village.